How to update EPF UAN Account Mobile number online? You are here: Home / Fixed Income (Bank FDs,RDs,PF etc) / How to update or change EPF UAN Account Mobile number online? 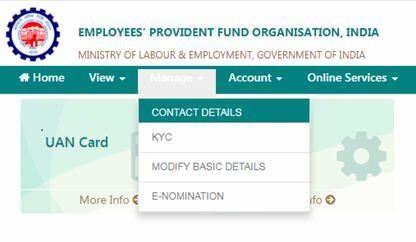 The Unified Member Portal maintained by the EPFO is a popular online facility being used by thousands of EPF members on a daily basis. To avail the online services that are available in the EPF member portal, it is very important to have your mobile number linked and registered with EPF UAN Account. For example, let’s say you join a new company and would like to transfer your funds in old EPF account to the newly opened EPF account. In this case, you can submit online EPF transfer request through Unified Member Portal. To complete this online transfer claim request, you need to use the OTP pin that is sent to your registered mobile number with EPFO. So, it is very important to have your correct and up-to-date mobile number linked to your EPF UAN Account. In case, you have changed your mobile number then how to update it in EPF member portal online? 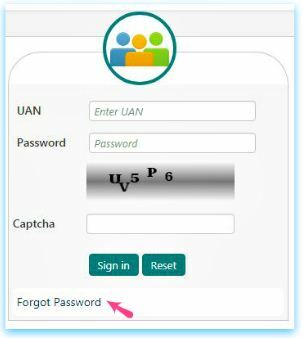 What if you have forgotten your UAN login password and also changed / lost registered mobile number? How to update your EPF UAN Account Mobile number online? – Let’s discuss…. How to change Mobile Number registered in EPF UAN Account online? Visit EPFO’s Unified Member portal. 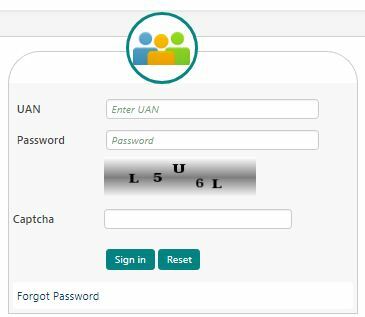 Login with your UAN number and Password. Click on ‘Manage’ tab and select ‘Contact Details’ option to change your contact details. An OTP is sent to your new mobile number, key it in the respective field in the next window and click on ‘Save changes’ button. You will get the below message on screen. The above online procedure is useful if you remember the UAN password and would like to just update the registered mobile number. Visit EPFO’s Unified Member portal- Login Page. In the next window, you need to enter your ‘UAN’ & Captcha code and then click on ‘Submit’ button. In the next window, your existing Mobile number that is linked to UAN is displayed. If you wish to just change the password (in case the displayed mobile number is active), click on ‘Yes’ to receive the OTP. You can use this OTP to re-set or change your UAN Login password. In case, you wish to change your registered mobile number in UAN account then click on ‘NO’ option. In the next window, you need to enter your personal details like – Name, Date of Birth and Gender details as in UAN and then click on ‘Verify’ button. If the details entered by you match with the records available with the EPFO then you will have to further validate your details against either Aadhaar or PAN card number. Key-in your document number and click on ‘Verify’ button. If details are validated successfully, you can input your (new) mobile number and click on ‘Get OTP’ button. Enter the OTP to update your mobile number at EPF UAN. In case the details entered does not match with the details available with the EPFO then ‘verification failed message’ gets displayed. You then need to contact your employer or EPFO, get the correct UAN details and change your mobile number. I believe that the above (second) process will work only if your KYC (Aadhaar / PAN) details have been provided, linked and verified in your UAN account. How to verify PAN online in EPF UAN Member portal? How to link your Aadhaar number to EPF UAN online? Are you generating UAN? What is available data here? Dear TAMILARASAN .. The new details might not yet been updated across EPFO databases. You may kindly submit your grievance to them online via this link.. I want to change my mobile number (linked mobile number is using by one else now) which is linked with UAN, unfortunately i forgot the login password to the UAN protal, when i am trying the other option by entering my details like Name, DOB and Gender getting error message as details are not matching. In this case what should i do for changing my mobile number. Please help me to sortout this issue. Thanks in Advance Anees. You might be entering incorrect personal details. Kindly check with your employer and get the details (if required) as given in your UAN account. You may also submit your grievance to the EPFO via this link..
Dear vidya ..Kindly go through this article.. I am applying my PF through offline. I am sending 15 G as well. In 15 G form i see there is schedules to show up for dividends, securities held and interested earned. I have 5 year fixed deposit do i need to show it on any one of the schedules, if yes in which schedule. also it asks for estimated income of previous year will that be net income or gross income as per ITR-1. Could you please guide me on the same. Yes, you need to declare the fd interest income in schedule 3. Kindly read : How to fill Form 15g? You need to mention the expected income (including PF withdrawal corpus) for FY 2018-19 (if you are withdrawing the balance in Fy 2018-19). The assessment year would be 2018-2019 right. Also as said before i hold 5 yr FD, but i am not getting interest for it now, it would be credited on the maturity time in this case how do i show it in line 23 along with the estimate of income earned in 2017-2018. Estimate income calculation would be salary income – allowance – professional taxes – deductions under 80c to 80g. is that right. Please do confirm on it. If FY is 2018-19 then AY would be 2019-20. When to submit Form 15g? Thank you sir for your reply . I will talk to them . Thanks alot for your support . I worked in an organisation just for 2 months, and i had to resign . I do see that PF number in my UAN service history and also can view the passbook. But, can I withdraw the of a company if I have only worked for 2 months? If no hen how can I use hat money. Dear Farhan ..Kindly contact your ex-employer as this is short service case. Mostly your ex-employer might not have updated your Date of Exit and Date of Joining in your service history. Kindly contact them. Once they update these details, you will get to see the options for EPF withdrawal (Form 19) and EPS withdrawal (Form 10c). When I check PF status yesterday it showed “Under process ” . Again now I checked it shows “Not available”. Could you please tell me will they approve my PF partial withdraw? Dear Karthikeyan ..You may kindly submit your grievance to the EPFO..click here..